In typical millennial style, I tend to obsess over skincare and the best products to get me that youthful, healthy, glowing look. It’s no secret to my long-time readers that I’ve had dry, sensitive skin issues since I was a baby, but this winter in particular has been brutal on my skin. I’ve suddenly not been able to use products that I’ve been using religiously for years, and I feel as though I can’t keep my skin hydrated for the life of me! Sick of feeling like a reptile, I was forced out of my usual skincare routine to seek out new products and solutions to combat my dry, winter skin. Hydrate, hydrate, hydrate // The first step in keeping your skin hydrated is drinking lots and lots of water. Studies show that you should drink approximately 64 oz of water daily, which seems like a lot; however, it adds up quickly if you are constantly carrying a reusable water bottle around with you. You can always find me carrying around my pink Yeti or my gold Swell bottle! Upgrade your facial routine // As much as I hate to admit it, I really skimped on my facial care routine until I was about 20 years old (terrible, I know). When my skin suddenly had a reaction to the products I was using for years a few months ago, I spent a ton of time researching products to take it’s place. I ended up discovering OLEHENRIKSEN’s Vitamin C line through a recommendation from my aunt. As I mentioned in my previous post, I purchased the A Brighter Truth Brightening Essentials Kit by OLEHENRIKSEN, and I am OBSESSED. I’ve been using it religiously for about a month now, and have noticed a huge difference in my skin. Not only is my skin brighter and more hydrated, but these high-end products are set at affordable prices and smell amazing! I will definitely be purchasing the large versions of the products once these run out soon. Cut down on shower time // As great as a super hot shower feels on a cold day, don’t do it! I’m guilty of doing so, and recently noticed that when I get out of the shower, my skin is red, blotchy and more dry than it was when I got into the shower. Now I try to keep my showers under 10 minutes, and use lukewarm-warm water. Moisturize // Immediately when I get out of the shower and wake up in the morning, I moisturize from head to toe. I recently discovered NIVEA Skin Firming Hydration Body Lotion, and my skin has never been more smooth and firm. I noticed a dramatic difference in only two weeks! What are some of your favorite tactics and products to repel dry, winter skin? 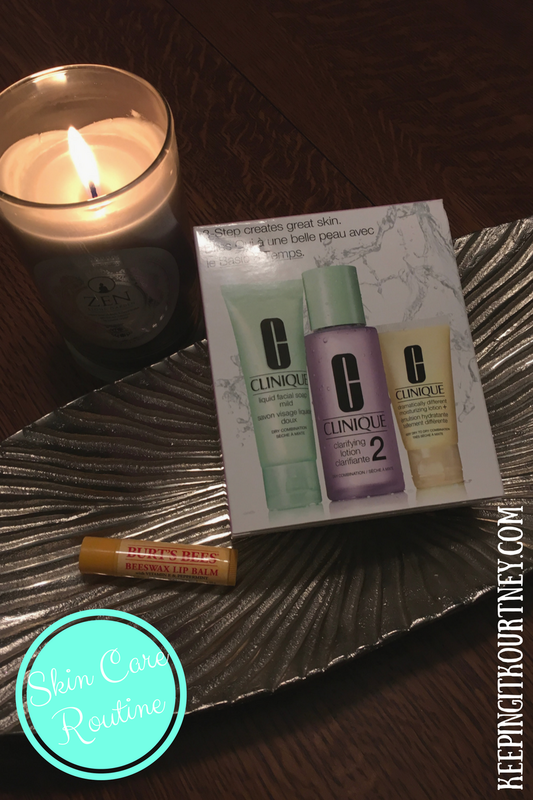 It’s no secret that I’m a huge fan of trying out new beauty products, but there are some items that I cannot give up. All of my below beauty essentials are affordable prices, and can be found at your local drugstore. Please know that this is not a sponsored post, and all my opinions are my own. I would not recommend any products that I would not use myself. TRESemme Tres Two Hairspray (level 4) // I have been using this hairspray since high school and still swear by it. It works just as well as the high-end hairsprays that cost $20 a can, but at an affordable price (only about $4). TRESemme Heat Tamer // I started using this product in college when I realized just how much damage my straightener and curling iron did to my hair because I wasn’t using a heat protectant. This product has made a world of difference on my hair – it is much more silky smooth even after applying heat. Dove Refresh + Care Volume & Fullness Dry Shampoo // This is by far the best dry shampoo I’ve used and it smells AMAZING! I’ve tried a number of other dry shampoos, but this I’m also a big fan of Dove’s new coconut scent, perfect for summer! Herbal Essences Hello Hydration Shampoo & Conditioner // This shampoo and conditioner makes my hair feel silky smooth, not to mention it smells heavenly! Invisibobbles Hair Ties // These do not damage your hair. Before I purchased them, I read that they don’t crease your hair, but I found that to be false. When I’m at work, there are times where I’ll throw my hair up on the top of my head to focus. I’d take the hair tie out an hour or so later, and I would still have the crease. Nevertheless, I love that these hair ties don’t snap nor damage your hair. 10/10 would recommend for those of you who have thicker hair. Garnier Skin Active Micellar Cleansing Water for Waterproof Makeup // I hopped on the micellar water bandwagon about a year ago, and was not disappointed. Check out my previous post about how I incorporated micellar water into my skin care routine. Aveeno Eczema Therapy Itch Relief Balm // This stuff is as good as my prescription ointment for half the price! My only complaint is that it is a bit oily so I only put it on at night after I shower, right before I go to bed; however, I’ve never had a problem with it staining my sheets or anything, which is a plus. By morning, my skin feels soft without much itchiness throughout the day. Burt’s Bees Lip Balm // Another classic high school staple of mine that I do not leave the house without to this day. Living in Michigan where the weather is constantly changing, I am no stranger to dry, cracked lips. Let me tell you – this product has worked miracles for me! The company also focuses on what is good for both their customers and the environment; not only is it made of natural ingredients, but the packaging is eco-friendly. It’s been a while since I’ve done a product review so let’s recap: I rate all products I try on a five star scale. This review in particular is also not sponsored; I purchased these products myself, and am giving you guys my honest opinion. Brazilian Bum Bum Cream // This stuff has been EVERYWHERE lately, so you know I just HAD to get my hands on it! Honestly, I was a bit skeptical at first – I don’t venture out of my usual body lotions because of my eczema and skin sensitivities; however, I have found a new favorite “anytime” lotion. Not only does it smell incredible, but my skin has never been more soft and smooth. I will admit, I’m not totally trading in my eczema creams because flair ups still occur, and this lotion isn’t meant to clear up eczema, but I will absolutely be purchasing the big tub once I run out. I give this product 4 out of 5 stars. Note: this is the only item on this list that you cannot purchase from a drug store. I bought mine from Sephora. OGX Refresh & Revitalize + Argan Oil of Morocco Dry Shampoo // I rate this product a 2.5. While the product smells absolutely amazing, I felt as though I had to use a significant amount of it in order to not my hair look so greasy after just one day, and I still had to put my hair up to make it look half decent. I was pretty disappointed in the product as a whole. OGX Smoothing + Shea Sleek Smooth Style Spray // This is meant to be for thermal protection and to speed blow dry time. I give this product a 2 out of 5 stars because it didn’t speed up my drying time. While it did provide thermal protection, it made my hair super wet, and more difficult to straighten. Additionally, I wasn’t a big fan of the scent, but that is just personal preference. A few months ago, I gave into the hype, decided to try out the beauty brand Glossier and promised to review it on my blog. Well, July has come and gone, and I’ve decided that it’s about time for me to share my experience with the brand. Since I only knew about the products from several fellow bloggers I follow, I reached out to Twitter to see what everyone’s favorite products were before trying some for myself. Milky Jelly Cleanser // In a previous post, I shared my nightly skin care routine, and, while I’m not straying away from my normal routine, it’s nice to use a more gentle cleanser every now and again. As its name suggests, the cleanser has a jelly-like consistency that leaves your skin feeling fresh, and doesn’t dry it out. I prefer to use this on days when my skin feels dried out since it’s not filled with harsh chemicals. Priming Moisturizer // This has become an integral part of my morning routine! It leaves your skin feeling silky smooth, and helps shrink your pores for an all-over even surface. I don’t love to wear a ton of makeup every day, but when I do, I actually find that it helps secure my makeup for a full day of coverage. 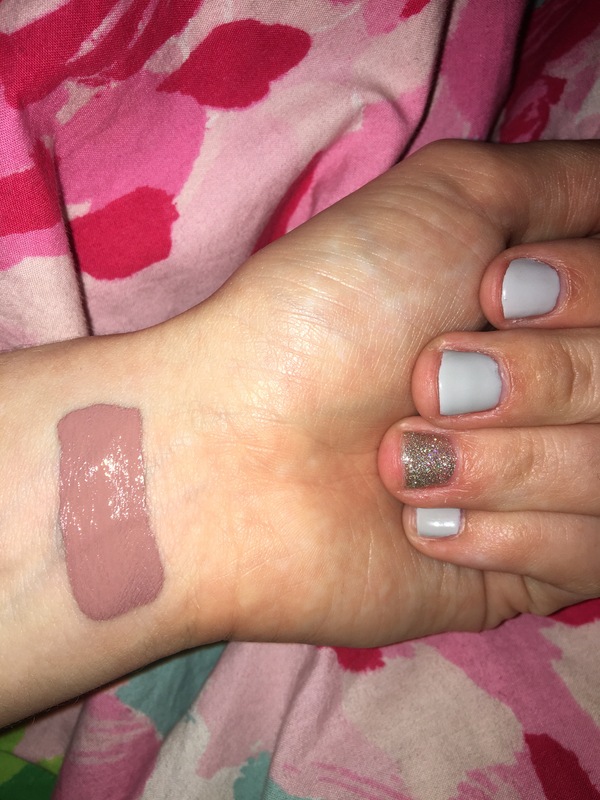 Balm Dotcom // Since July is my birthday month, I decided to go with Birthday Balm DotCom, and was not disappointed. I do have a particular loyalty to Burt’s Bees Original chapstick, but this balm is universal and provides hydration not only to your lips, but also to extra dry areas just as cuticles (I even applied mine to my elbows which tend to become extra dry. I have my eye on the mint and rose versions of this product for my future orders! Rosewater Spray // Okay, so I’m going to be super honest when I say I never understood the fad of rosewater spray… and I still don’t. I mainly bought this product because of the hype, but upon using it, I don’t really see the difference besides the fact that it smells good. Granted, I could totally be using it wrong, and I do not carry it to work with me for the “midday pick-me-up” that it’s said to be great for. I’ve mostly been using it as a makeup setting spray right before I head out for work in the morning. Again, I could totally be using it wrong so if you’re a rosewater fanatic, PLEASE tell me what I’m doing wrong! Needless to say, I was very happy with Glossier. Not only did their products work well, but they shipped fairly quickly which is always a plus! Next, I intend on trying out Boy Brow, Cloud Paint, and their newest product, Wowder. Have you tried any Glossier products that I have yet to? Comment below, I’d love to get your opinion! Life has been absolutely crazy since I’ve returned from my trip, but I’ve finally had a chance to sit down and catch you all up on some current happenings and obsessions. 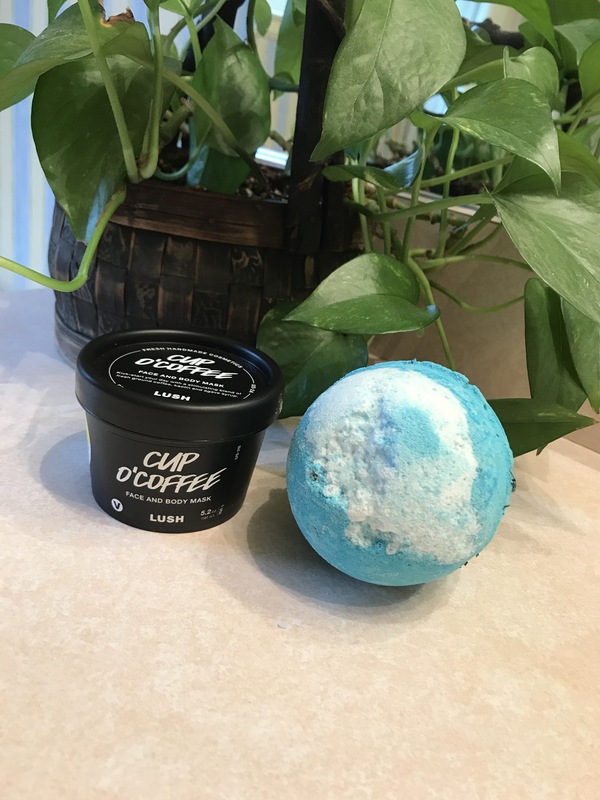 Lush // Recently, I made two new purchases from the handmade, organic cosemetic store Lush – the Big Blue Bath Bomb and Cup O’Coffee face and body mask. I’ve previously tried a bath bomb and enjoyed it so I thought I’d try out another. Big Blue promised a relaxing, oceanic experince; however, I somehow missed the fine print where it said there would be literal pieces of seaweed in the bathtub with you (see image below). If bathing with seaweed relaxes you, then this is right up your alley! As for me, tiny bits of the water plant give me anxiety so it wasn’t the best experience for me. 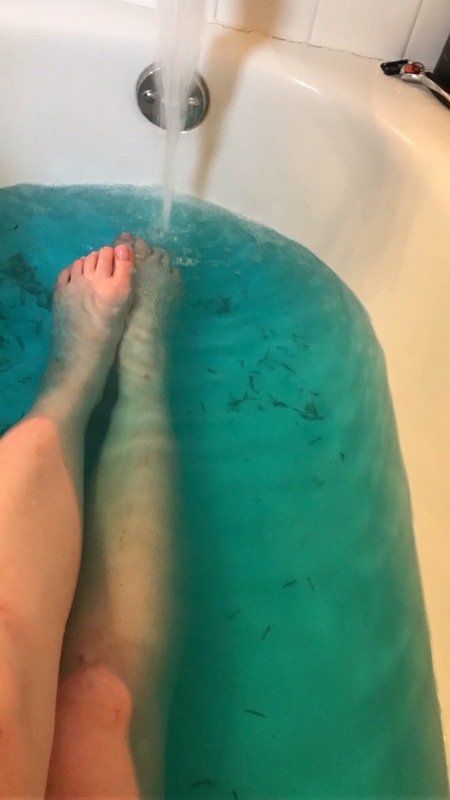 Also, the cleaning of the seaweed was a pain; I don’t usually like to give the bath tub a good scrubbing after my soak, but I felt the need to after this one. I give it a 7/10 for the scent and the beautiful color it leaves the water. As for the Cup O’Coffee face and body mask, a ton of bloggers I follow have raved about the product so I had to give it a try. I bought the smaller version as I have sensitive skin and am allergic to most things under the sun and, you guys, I’m obsessed! It smells amazing (if you like the smell of coffee), and makes my skin feel unbelievably smooth. The only thing I recommend is not using it before bed as it does have caffeine in it and will keep you up all night – trust me, I learned this the hard way. The Skimm // I like to start off my mornings with a cup of coffee and The Skimm. Interested in staying up to date on current events without biased BS? Join me and the rest of the Skimm community by signing up here today! It’s quick, easy, and super entertaining; I promise you won’t regret it! Zara // Now onto my favorite latest obsession: Zara! Since there aren’t any that are close to where I live, I jumped on the chance to explore one of the stores in Florence while in Italy. Needless to say, I loved it and picked up the two tops featured in the photo above. Have I mentioned how much I love neutrals? Game of Thrones // Last summer, I got hooked on Game of Thrones, but barely made it through the second season before life got hectic. Just the other night, I re-downloaded HBO Now so that I can finally watch it all the way through before the new season starts. That’s all for me this week! What have you been up to? For years I’ve struggled with finding the right skincare routine. Having eczema and dry, sensitive skin since I was just six days old is something that prevents me from using the vast majority of products out there. On top of this, nasty winter weather can wreak havoc on my skin. However, I’ve finally found a regiment that works for me and my extremely dry skin. One // One thing I did not do enough in high school and college was wash off all of my makeup before bed. Usually because I believed I was actually taking it off in the shower. Boy was I wrong! I did use Neutrogena products back then, but I found that while they did reduce oil, they dried out my skin terribly. Lately, I’ve been using Garnier’s Micellar Cleansing Water for waterproof makeup and I LOVE it! Just shake and drip a bit on a cotton round to take off your makeup. It does leave your skin a tad oily, but remember that this is just the first step. Sometimes (namely, when I fail to go through the rest of my routine when I get home late) if I just go to bed only using this step, my skin is softer when I wake up. You can find miceller water at CVS for only $8.99, and my latest bottle has lasted me a few months so it’s great for your wallet. NOTE: If I’m traveling or stuck in a bind, I still carry my Neutrogena Makeup Removing Wipes. They’re the perfect quick fix, and they don’t dry out your skin. 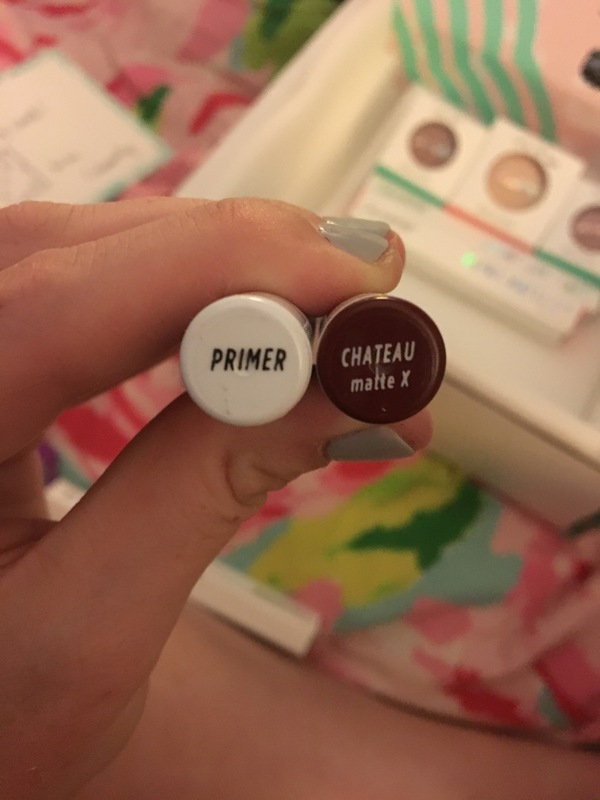 Two // Recently I discovered Clinique’s 3-Step Process upon a trip to Ulta, and I must admit that I’m in love. This stuff actually WORKS! There are different levels for different skin types; I picked up the level 2 for dry combination skin.This is when I actually cleanse my skin with the first step of the program using the mild liquid facial soap. I wet my face and gently scrub my face and neck following up with a clean towel to dry before the next step. The 3-Step System trial package that I started out with is $19.50 at Ulta. Three // Next I tone using the clarifying lotion, which acts and looks like a toner. This is where the exfoliation comes in. I apply it with a cotton ball all over my face and neck to sweep away dead skin cells. I take extra care to go over the particularly dry areas of my face a number of times during this step. Four // The final step in Clinique’s process is the Dramatically Different Moisturizing Lotion. You guys, this lotion has worked WONDERS for me! I can’t rave about it enough. My skin is smooth, bright and radiant in the mornings after I put it on at night. I highly highly recommend this for anyone whose skin is as dry as mine. Five // Finally, I apply Vaseline or my go-to Burt’s Bees to my lips, and the corners of my mouth which tend to crack in the winter over night. So there you have it! What are some of your favorite skin care products? I’ve done it. 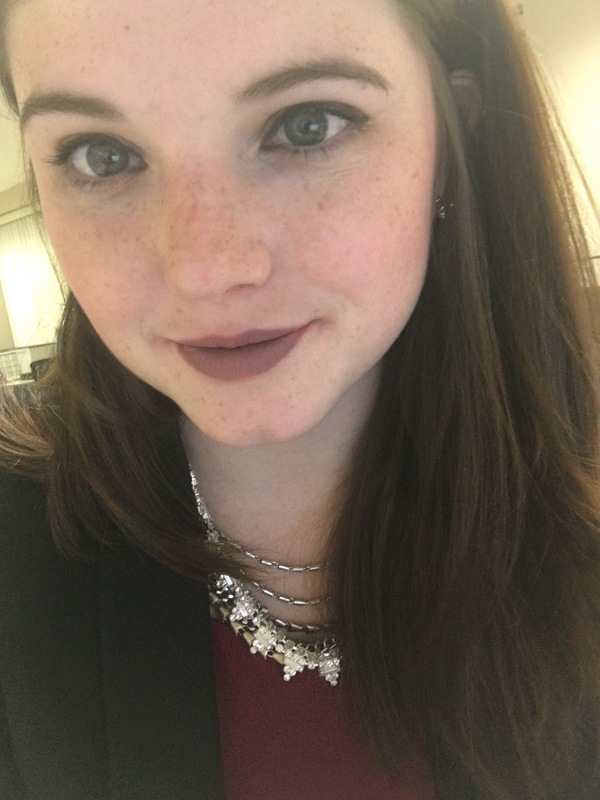 I finally gave in and decided to see what Colourpop is all about. So far, I’m really impressed with the products; they don’t make my eyes swell up (allergy problems), they’re long lasting, and they don’t mess with my sensitive skin. 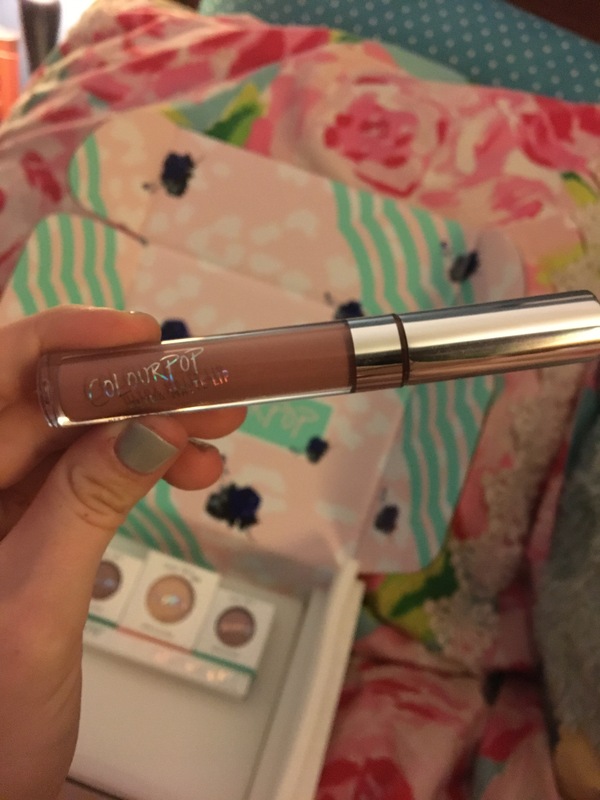 Here are some of the products from Colourpop that I just can’t get enough of! 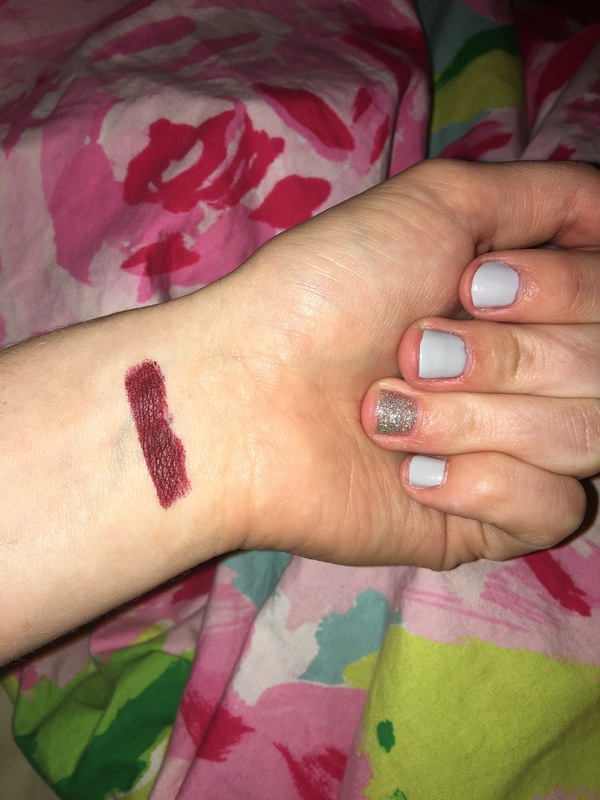 Have you tried Colourpop? What are some of your favorite products? **Disclaimer: the opinions on this post are all my own. 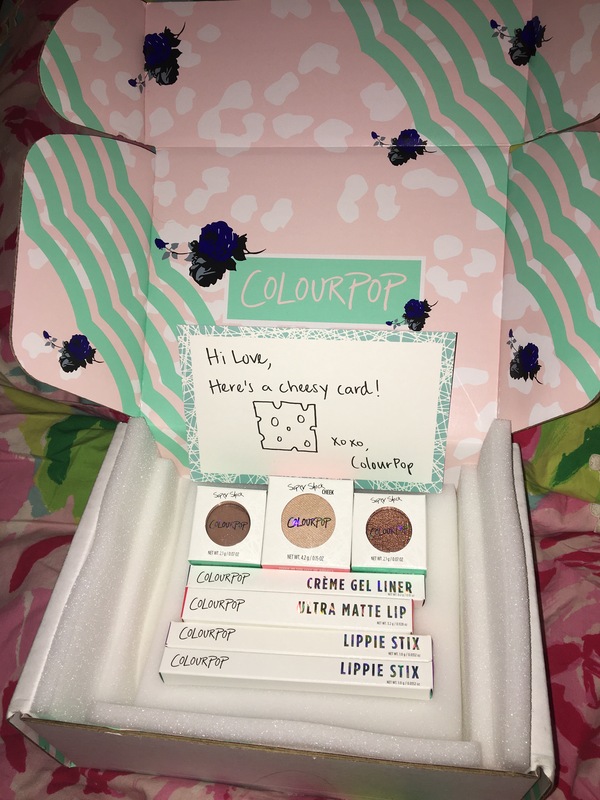 I am in no way, shape or form associated with the Colourpop brand. I decided to kick off this week with some of my favorite drugstore make up products for my lovely ladies who are also ballin’ on a budget. These consist of the items I use on a daily basis, that I think are best for my skin (mine tends to be super sensitive). 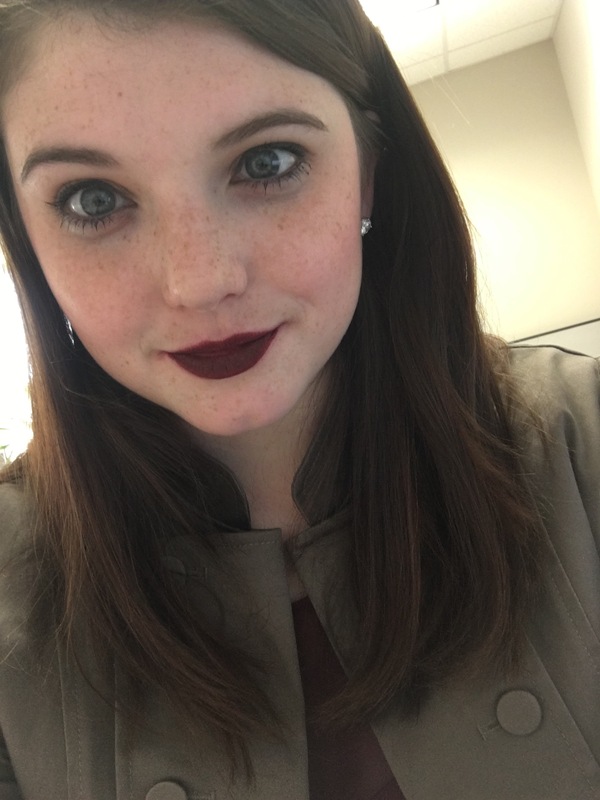 What are some of your favorite drugstore make up products? Comment below and they just might make my next post! Have a fabulous week, y’all!